Kim Woo-jin is a furniture designer, a sensitive hipster job if ever there was one. However, viewers will not envy his cool sounding gig. It is, after all, lonely work and Kim has some peculiarly unique issues that makes it feel ever more so. Shape-shifting romance gets a fresh spin in BAIK’s The Beauty Inside (trailer here), which opens this Friday in New York. Ever since he was eighteen, Kim wakes up from each slumber in a different body. He has the same consciousness, but he could be man or woman, young or old, Korean or a foreigner. Naturally he dropped out of school and has never had a relationship past a one-night stand. Refusing to forget his high school friend, Sang-baek discovered Kim’s secret and now manages his exclusive custom-made furniture business. 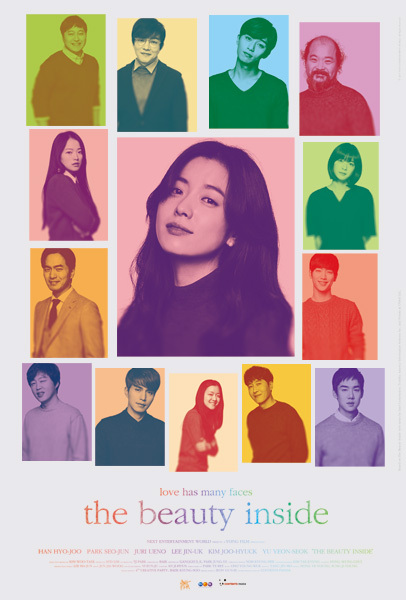 His otherwise lonely world is about to be rocked by Hong E-soo, the beautiful and knowledgeable sales associate at his favorite limited edition furniture store. Falling hard, Kim will wait until he finally has another handsome face to ask her out. When she says yes, he presses his advantage as best he can, resisting sleep for several days, he manages to make quite an impression, but a crash is inevitable. Despite his disappearing act, Kim cannot make a clean break of it. Eventually he will try to explain himself when he is hired as a sales trainee while outwardly appearing to be a fragile young woman. 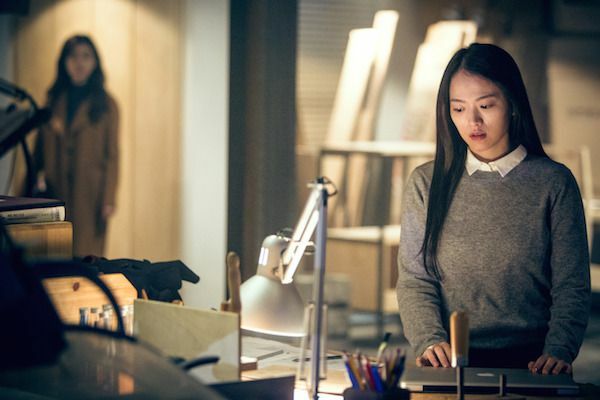 Up to a point, BAIK and co-screenwriters Kim Sun-jung and Park Jung-ye adapt Drake Doremus’s corporate-sponsored social-media produced film that you probably haven’t seen in the first place. However, they take the story far deeper, exploring the day-to-day issues that plague Kim’s relationship with the understanding Hong. Some challenges are obvious and comparatively pedestrian, but the overall stress on Hong is more serious than the cloistered Kim initially understands. Beauty Inside sort of compares to the honestly not so bad Adam Sandler vehicle 50 First Dates, but it is more fantastical and more serious in the treatment of its premise. Some real thought went into the implications of Kim’s condition. BAIK also stays faithful to the conceit, by never using a consistent Kim Prime for voiceovers or scenes reflecting how he sees himself. Instead, we have to adapt to a new Kim right along with Hong. As a result, Beauty Inside is like the Korean It’s a Mad, Mad, Mad World of intimate romantic fantasies. Not only do some of South Korea’s top stars play Kims, their agents were also press-ganged into service, along with most of the crew. Somehow, everyone seems to connect with the pathos of Kim’s unusual state. Even those appearing briefly manage to express deep angst and loneliness. Yet, none of the leading men Kims can hold a candle to Chun Woo-hee’s delicate vulnerability as the sales trainee Kim. It is also pretty impressive watching Han Hyo-joo’s smart and sophisticated Hong play off dozens of radically different Kims. Beauty Inside would be one of the best rom-coms of the year, but it is much more rom than com. There are some slightly absurd situations, but what humor there is can never be described as low or broad. For what its worth, the film also seems to be genuinely interested in fine furniture, which is kind of nice. Highly recommended for those who enjoy romantic fantasies that come with surprising substance, The Beauty Inside opens this Friday (9/11) in New York, at the AMC Empire.